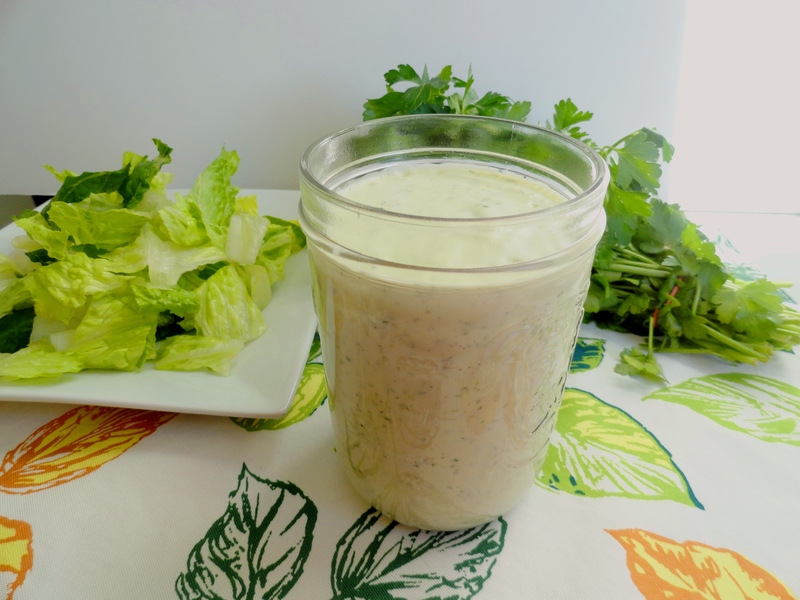 I make a lot of salad dressing, mainly vinaigrettes, which are generally pretty simple. However, one dressing I’ve never attempted to make before was ranch. We always just buy it in the bottle – basically the only dressing I buy in the bottle. I’ve always been a vinaigrette girl, but when I first met Nate, he put ranch on everything. And I seriously mean everything (pizza, sandwiches, cereal…okay, maybe not cereal). Being that it was always around, it sorta turned me into a ranch person, too. But just on my salad 😉 One thing I have a severe weakness for is anything with a chipotle ranch. Any salad or sandwich with this on it, and it’s a sure bet that’s what I’m going to order. 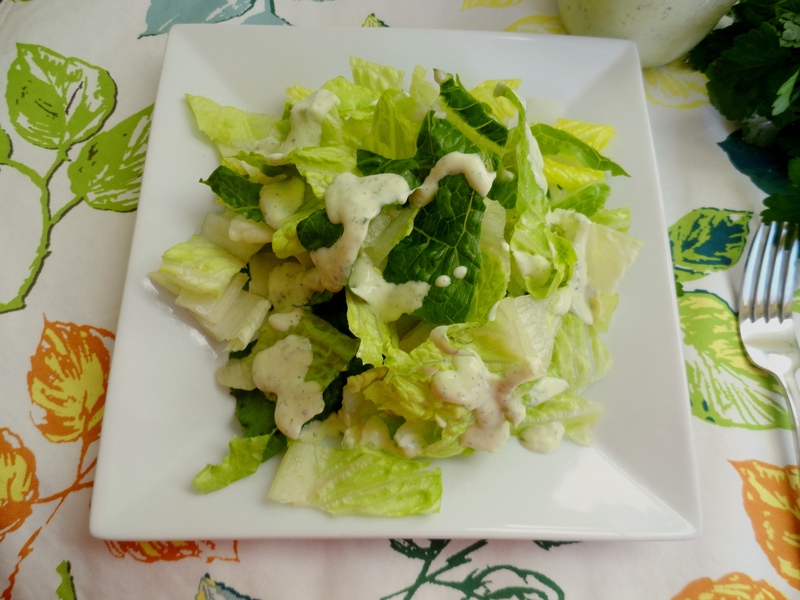 So, in deciding to make homemade ranch dressing, I thought I better throw in a chipotle ranch, too. Good thing I did, because it’s soooooooo good. The ranch is great, too, but man, the chipotle ranch is the bomb! 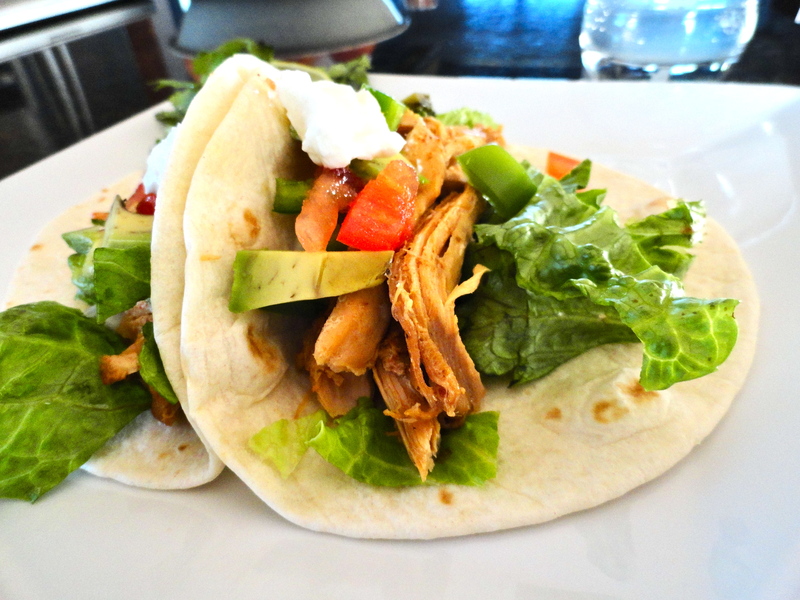 Try it on tacos instead of Greek yogurt or sour cream. It’ll knock your socks off! Play around with the seasonings, and feel free to substitute fresh for dried or dried for fresh, depending on what you have in the fridge. TIP: Oh, and a quick tip about buttermilk. I don’t usually have this in my fridge, and I hate buying some to only use a few tablespoons and let the rest go to waste. So whether you’re in a pinch or you’re like me and hate buying the stuff, you can easily make your own at home with things you probably already have, milk and white vinegar. To a liquid measuring cup, add one tablespoon vinegar, then fill with milk to the 1 cup line. Let the mixture sit for at least 5 minutes before using, and viola! Buttermilk. 1. Combine all ingredients in food processor, except buttermilk. Slowly add buttermilk to desired consistency. Adjust seasonings to taste. This will last in your fridge in an airtight container for about a week. 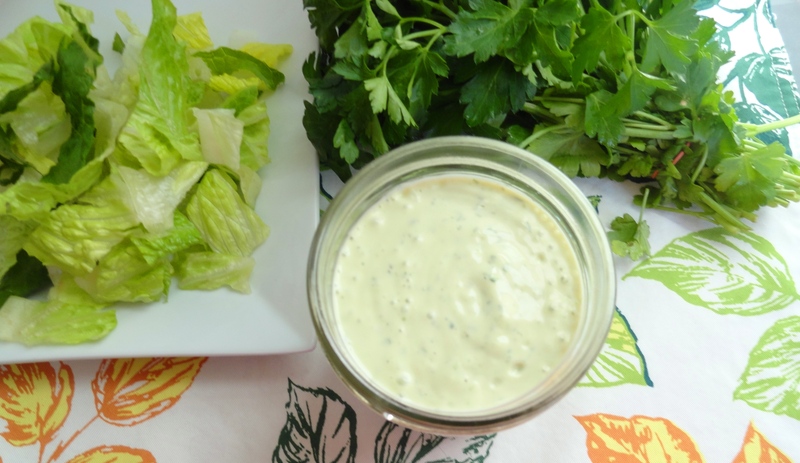 To make chipotle ranch dressing, add 1/2-1 tsp (depending on preference) McCormick chipotle chili pepper. 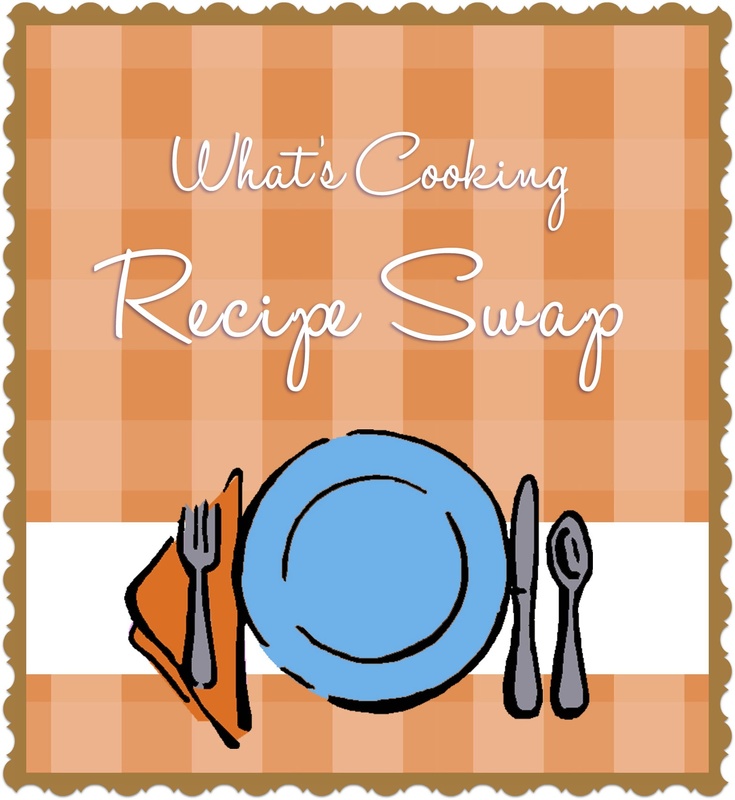 It’s that time again – Blogger’s Choice Recipe Swap, hosted by Sarah at A Taste of Home Cooking. This week, I was assigned Jaida’s blog, Sweet Beginnings. It might sound familiar because I’ve made several of her recipes in the past: double crunch pork chops, pumpkin scones with maple glaze (which I just made again before Thanksgiving), and salsa verde chicken ‘n’ dumplings. Scroll to the bottom of this post if you want to see what other recipe swappers made! It really came down to the wire for me to make something for this swap, and I ended up having to do it on a night that Nate had class. I definitely didn’t want to make some extravagant meal for just myself, so I opted for something similar to what I make myself when he’s not home, but with a fun twist. 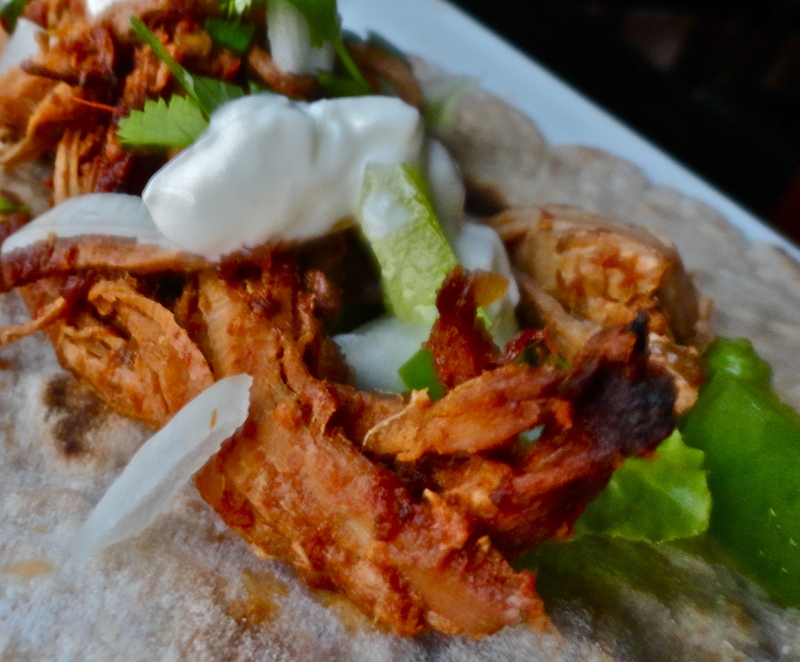 When Nate’s gone, one of my favorite things to make for myself are black bean tacos – black beans, onions, jalapenos, peppers, lettuce, cilantro (sometimes avocados – it really just depends on what is in my fridge), hot sauce and a dab of Greek yogurt on a whole wheat flour tortilla. 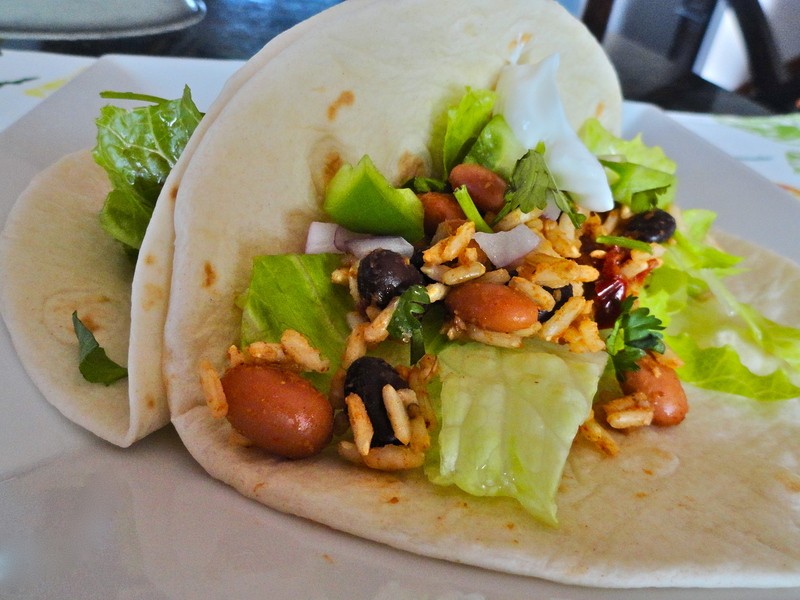 I saw Jaida’s avocado and lime black bean tacos and thought it’d sounded perfect. 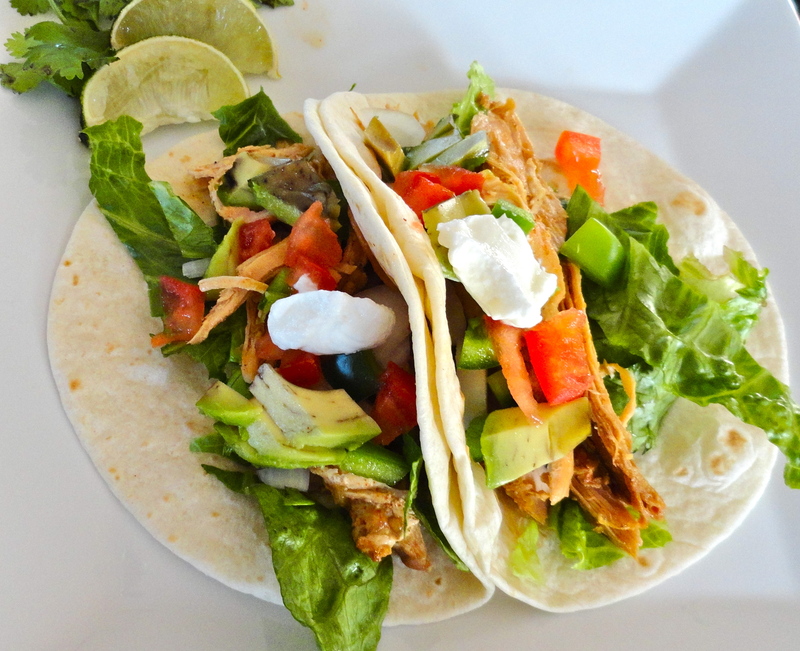 Oh, and if you are a taco fan (which I am) she has Taco Tuesdays and has more taco recipes on her blog than I’ve ever seen before (over 40!). Love it! 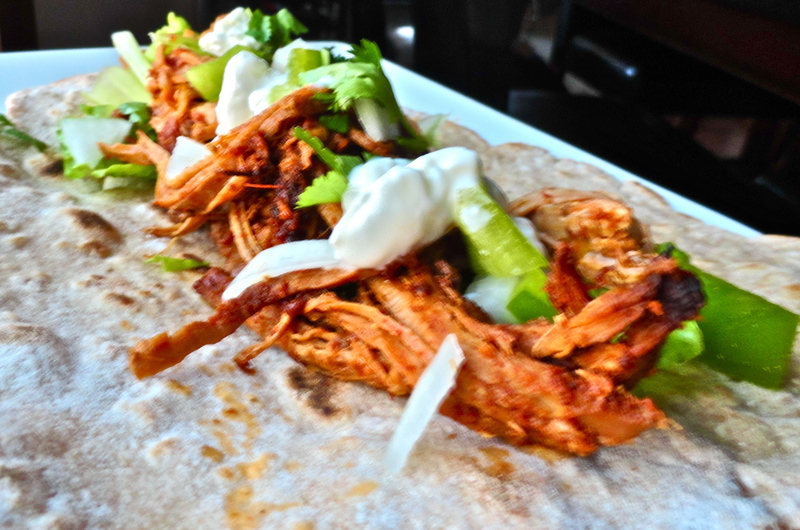 While the ingredients are fairly similar to what I would normally use, I found that sprinkling the tortilla with cumin really brings out the smokey flavor (I normally add it into the black beans), but it’s balanced out perfectly with the lime juice. What an excellent combination! I omitted the cheese (as I’m not a fan) and unintentionally omitted the egg whites. I thought I had eggs (or at least egg substitute) at home, but I didn’t. They were still excellent! These tacos were an excellent way to jazz up my normal Wednesday night alone meal. 1. Preheat oven to 350 degrees. Line baking sheet with foil. 2. In a small saucepan, heat black beans over medium heat, about 2 minutes, until heated through (microwave would work fine here). Set aside to cool. 3. In a medium bowl, combine beans, jalapeno, cilantro and lime juice. Add salt to taste. Stir in avocado and set aside. 4. Place tortillas on baking sheet and sprinkle each with cumin. Add cheese. Bake until cheese is melted, about 5 minutes. 5. Spoon bean mixture evenly on each tortilla. 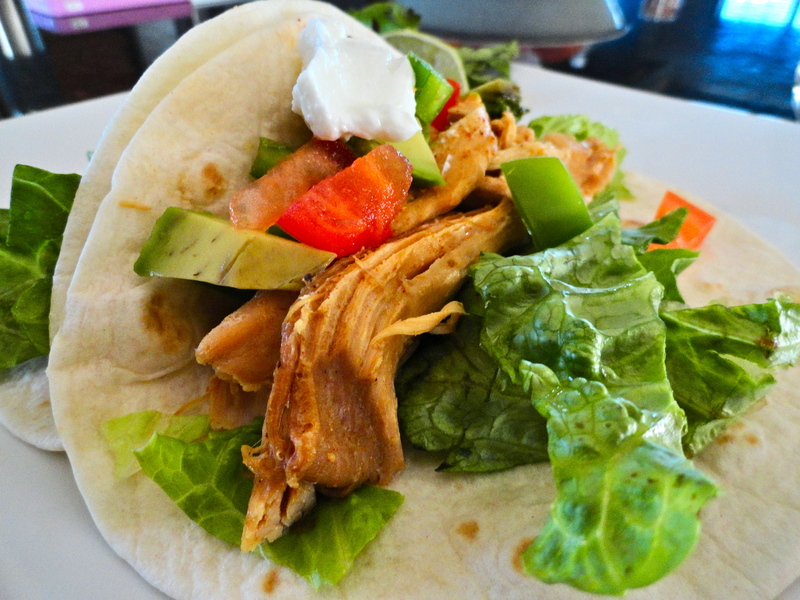 Add a dollop of Greek yogurt (or sour cream) and hot sauce if desired, fold gently and serve. I’ve had this pork tenderloin in my freezer for about two months; I bought two because they were on a great sale, and used the first one for the hoisin glazed pork tenderloin. I’m not a big pork eater, but when I do eat pork, I prefer tenderloin versus a chop, as the meat is so much more, well, tender. I decided to throw it in the slow cooker with some seasoning and salsa to make some tacos for Friday night dinner. On on a side note regarding “slow cooker” vs. “Crockpot”…some people wonder why I use the term slow cooker as opposed to Crockpot. Well, if you don’t already know the answer, it’s because Crockpot is a (well-known) brand of slow cookers, where as slow cooker is what the appliances is actually called. Think about tissues and Kleenex, or lip blam and Chapstick. I don’t know why, but it drives me crazy when people refer to lip balm in general as Chapstick. I’m a Blistex girl myself. I do own a Crockpot, but I still refer to it as slow cooker. Okay, rant over. As per usual when I have something in my slow cooker, when I got home from work, my house smelled amazing. I don’t know how the cats can stand the insanely awesome aromas all day long; it would drive me crazy. I shredded the pork and left it on warm as we had to run a few errands before dinner. All I could think about was pork tacos and I was getting crankier and crankier the longer they took. Finally, we got home and were ready to eat dinner. As usual on Friday, we didn’t get around to it until after 9 PM, which means my pictures don’t turn out quite as well. But believe me when I say these were yummy. 1. In a small bowl, mix seasonings. Add tenderloin to slow cooker and sprinkle seasoning mix over the top. Add salsa, and cook on low for 6-8 hours. 2. After 6-8 hours, shred tenderloin with two forks, and mix with remaining liquid in slow cooker. 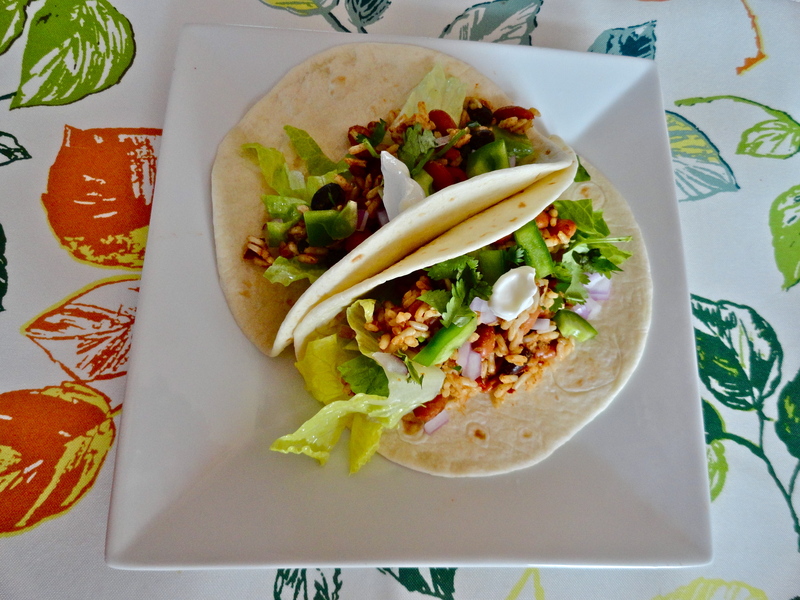 Serve in soft or crunchy tortilla shells, over rice or over salad with desired toppings.